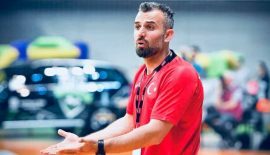 No visas for Turkish team!!! Norway didn’t approve visas of some players of Women’s EHF Champions League qualifer Kastamonu BGSK! HENTBOLHABER.NET – Norway said to Kastamonu “You shall not pass”… But as all we know, neither Kastamonu is Balrog nor Norway is Gray Gandalf! 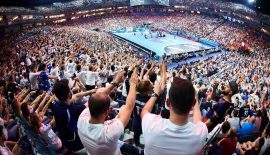 Consulate of Norway rejected visa applications of Women’s EHF Champions League qualifier Kastamonu Belediyesi Gençlik ve Spor Kulübü (Kastamonu BGSK). Turkish champions flied to Norway without Russian Left Back Anastasia Snitysna, Belarussian Left Wing Nataliya Kotsina and Ukranian physiotherapist Anna Briks. Alongside with Turks; Brazilian, Montenegrin, Crotian, Romanian players of Kastamonu got visas from Norway too. But those players and physiotherapist who couldn’t get visa had Russian, Belarussian and Ukranian passports. And they are members of a succesful Turkish team. And their nations especially Russia known better for it’s succesful athlets all over the world. 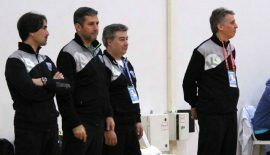 Kastamonu Belediyesi GSK will play tough matches this weekend in Qualification Group 1 with HC Podravka Vegeta (Champions League winner) host team Vipers Kristiansand and HC Gomel. 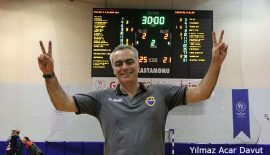 Head Coach Hakan Günal told stregspiller.com that they are missing two important players because of visa issue and this means they only have 14 players in Norway including the goalkeepers. “If we would have been able to send on our strongest team, I would say that our chances to win against Podravka in the semi-final on Saturday would have been 60 per cent. As things are now, I would rate our chances against them to be 50 per cent at the very most” commented Hakan Günal. Famous as a handball nation, we couldn’t believe Norway did such practises to a guest handball team. People who do not qualify for the Special or diplomatic passport, however, are assigned to travel abroad for official and/or government related purposes. Unwed and unemployed children of the service passport holders who live with parents, until they turn 25.